WASHINGTON (AP) — President Donald Trump is again attacking online retailer Amazon.com, calling its business deal with the U.S. Postal Service to deliver packages a money-losing agreement that hurts U.S. taxpayers. Federal regulators, however, have found the contract with Amazon to be profitable. In tweets Saturday, Trump said "the U.S. Post Office will lose $1.50 on average for each package it delivers for Amazon. That amounts to Billions of Dollars." He added: "If the P.O. 'increased its parcel rates, Amazon's shipping costs would rise by $2.6 Billion.' This Post Office scam must stop. Amazon must pay real costs (and taxes) now!" Amazon has been a consistent recipient of Trump's ire. He is sore because its founder, Jeff Bezos, owns The Washington Post, which Trump has labeled "fake news" after the newspaper reported unfavorable developments during his campaign and presidency. Trump made the link himself in Saturday's tweets, accusing Amazon of using the "Fake Washington Post" as a lobbyist. The Post and Bezos have responded to Trump's lobbyist claims in the past by declaring that Bezos is not involved in any journalistic decisions at the paper. Amazon.com Inc. and The Washington Post declined to comment Saturday. In arguing that the Postal Service is losing money on delivering packages for Amazon, Trump appears to be citing some Wall Street analyses that argue the Postal Service's formula for calculating its costs is outdated. A 2017 analysis by Citigroup did conclude that the Postal Service was charging below market rates as a whole on parcels. Still, federal regulators have reviewed the Amazon contract with the Postal Service each year and determined it to be profitable. 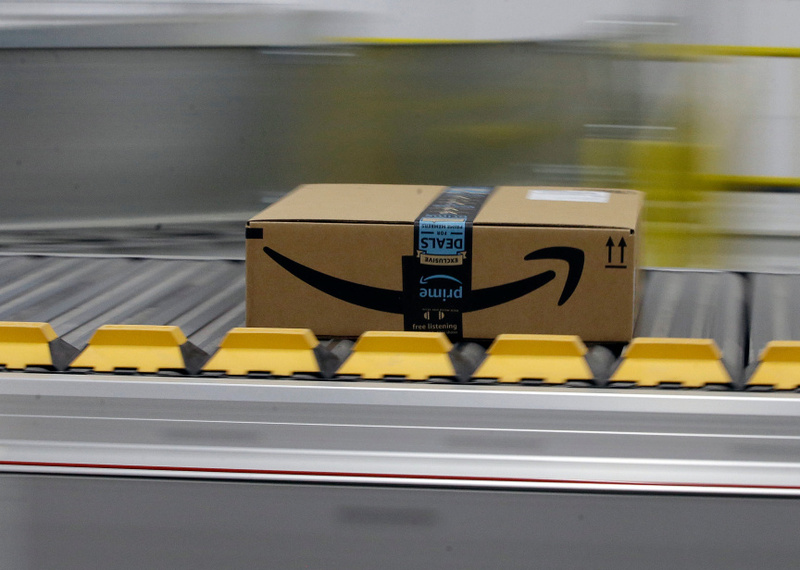 The post office does not break down what is driving its growth, but online ordering from retailers, particularly Amazon.com, has revolutionized the way goods are bought and delivered. The Postal Service reached new highs last year in holiday package delivery, with more than 850 million U.S. parcels delivered from Thanksgiving to New Year's Eve, according to figures compiled by industry tracker ShipMatrix Inc. The Postal Service says it set a record on Dec. 18 when more than 37 million packages were delivered, the most in a single day in its more than 240 year history. Amazon has taken some steps toward becoming more self-reliant in shipping. Last year, it announced it would build a worldwide air cargo hub in Kentucky, about 13 miles southwest of Cincinnati.